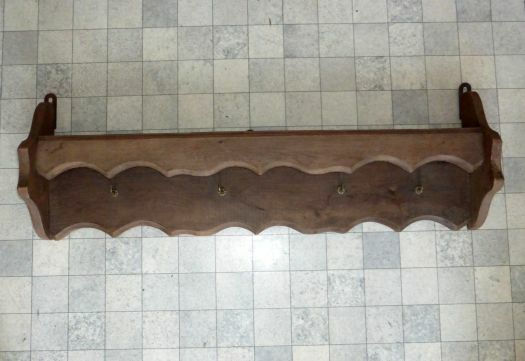 Nice rack in solid wood to display plates or dishes and to hook pans. 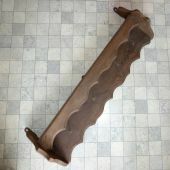 Width 84,5 cm ; height 27 cm. 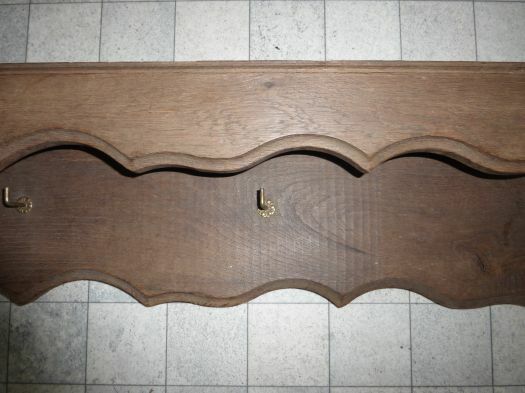 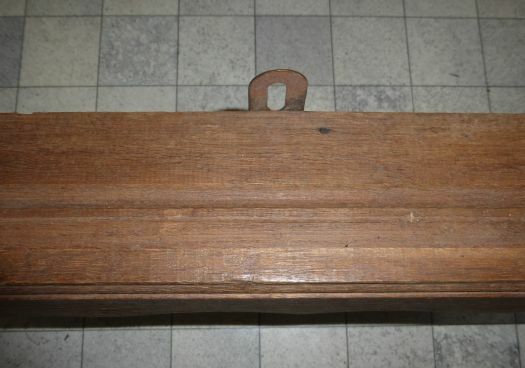 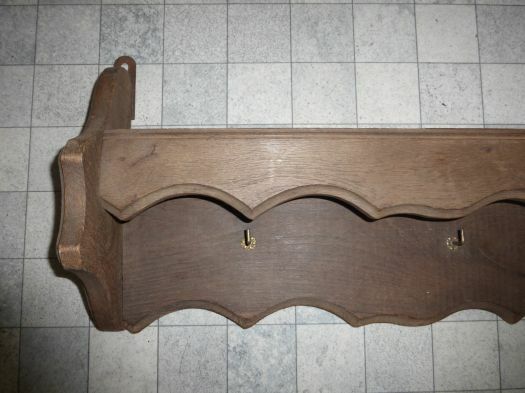 Heavy piece, ready to hook in a old style kitchen.